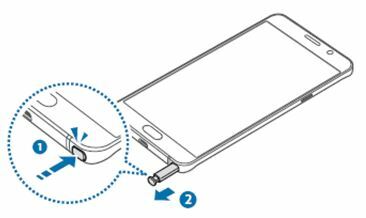 Galaxy Note5: How to detach the S-pen? Push the end of the S Pen to disengage it. Then, pull the S Pen from the slot. To store the S Pen, push it back into the slot until you hear it click.